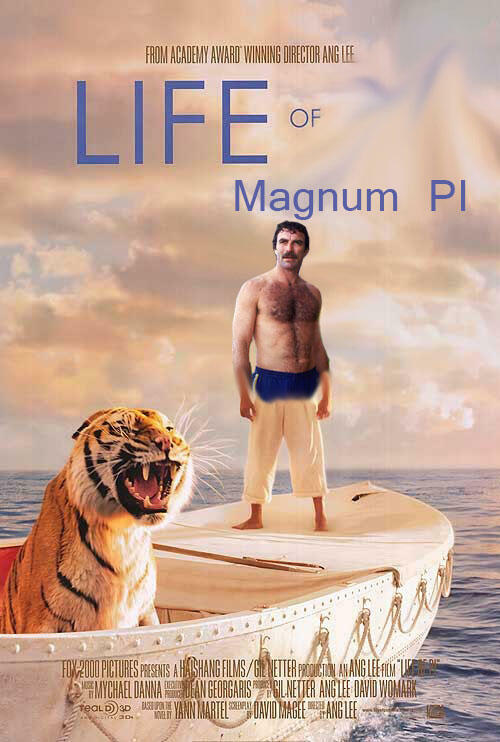 My friend Shelby Abbott and I were talking about his mustache the other day and I told him about this idea for a funny short film I had called, "LIFE OF MAGNUM PI." He tweeted it out and Brady Green made this amazing poster for it. Coming to a theatre near you. Hollywood, our operators are standing by for your phone call offering millions of dollars. I am willing to go as low as two million dollars.